The controversy over whether Ryan Lochte and three of his U.S. swimming teammates were actually robbed at gunpoint in Rio de Janeiro has taken another bizarre turn. Brazilian police have indicated that the mugging never took place, but instead involved a confrontation at a gas station with allegedly armed guards. 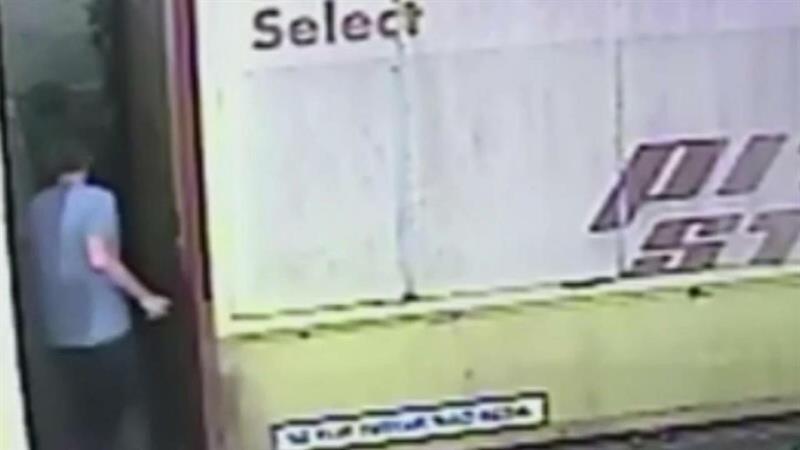 Authorities have a surveillance video that reportedly shows the swimmers damaging the door of a gas-station bathroom and getting into a dispute with gas-station guards on the night they claimed they were mugged. They apparently trashed the bathroom, in addition to damaging the door, and the gas-station manager demanded cash for the destruction — and the swimmers paid up, according to Reuters. G1, a Brazilian TV station, aired the footage from the gas station, in Barra de Tijuca, en route from Club France, where the swimmers were partying, and their dorms in the Olympic Village. The video shows what is apparently the swimmers trying to get into a locked bathroom. At least one of them manages to get in, and soon after a gas-station guard confronts the Olympians. Here's where the story gets even more muddled. The Associated Press reports that Brazilian police now say that two security guards did, in fact, point guns at Lochte and his teammates. Officers interviewed the security guards, who confirmed that they brandished their weapons when they went to check out the commotion near the bathroom. (Earlier reports suggested that the guards were armed but never took out their firearms.) At some point after that, the swimmers returned to their taxi, but the driver did not pull away. According to G1, the gas-station manager called police, but officers were slow to arrive. So the gas-station manager found a customer to translate, and the swimmers agreed to pay for their vandalism — apparently offering 2o dollars and 100 Brazilian reals (one real is a little more than 30 U.S. cents). It's unclear if that's the sum the swimmers paid, but eventually they did turn over cash. The police never showed up. The swimmers got into the taxi and left. Brazilian police first indicated that Lochte made up the entire mugging story to cover up this gas-station episode — though that narrative unravels a bit when you consider Lochte's original story that men with badges pointed guns at them. Fernando Veloso, the chief of civil police, had said previously that the athletes owed Rio de Janeiro an apology. "The only truth that they told is that they were drunk," he said. A Rio 2016 spokesperson defended Lochte and his teammates. "These kids tried to have fun, they tried to represent their country to the best of their abilities," Mario Andrada told reporters. "They competed under gigantic pressure. Let's give these kids a break. Sometimes you take actions that you later regret. They had fun, they made a mistake, life goes on." The Brazilian authorities certainly took the events seriously, turning into an international incident on Wednesday, when Jack Conger and Gunnar Bentz were removed from their flight back to the United States. The two swimmers were awaiting takeoff when agents from Brazil's Federal Police, which oversees the nation's borders, boarded the plane. Video that aired on the Globo TV network showed Conger and Bentz being escorted to the police station in the airport, according to the Washington Post. "Jack Conger and Gunnar Bentz were detained Wednesday night shortly before their flight was scheduled to depart from Rio," the U.S. Olympic Committee said in a statement. "They were released by local authorities with the understanding that they would continue their discussions about the incident on Thursday. James Feigen is also communicating with local authorities and intends to make further statements regarding the incident on Thursday as well." Earlier on Wednesday, Judge Keyla Blanc de Cnop ordered police to seize the passports of Ryan Lochte and fellow American swimmer Jimmy Feigen as the investigation into their alleged mugging on Sunday night continued. However, Lochte had already returned to the United States, and Feigen's whereabouts were unclear. Blanc de Cnop did not mention Conger and Bentz, but Brazil's G1 news reports that another judge ordered that their passports be seized as well. Judge Blanc de Cnop handed down her order in light of "contradictions in the swimmers' reports," according to a statement from the court, and their seemingly chipper demeanor on surveillance footage taken not long after they say they were mugged. This comes just a day after an Associated Press report that said police looking into the robbery claims "have found no evidence supporting the account," and had trouble getting the swimmers to provide many details in interviews. So, did Lochte make this whole thing up? His lawyer says no. "This happened the way he described it," Jeff Ostrow told the AP. "And then the guy pulled out his gun, he cocked it, put it to my forehead, and he said, 'Get down,' and I put my hands up, I was like, 'Whatever.' He took our money, he took my wallet — he left my cell phone, he left my credentials." This is different from the story Lochte told police (in that version there was one mugger) and different from the story Feigen told police (in that version there were multiple muggers but only one gun). 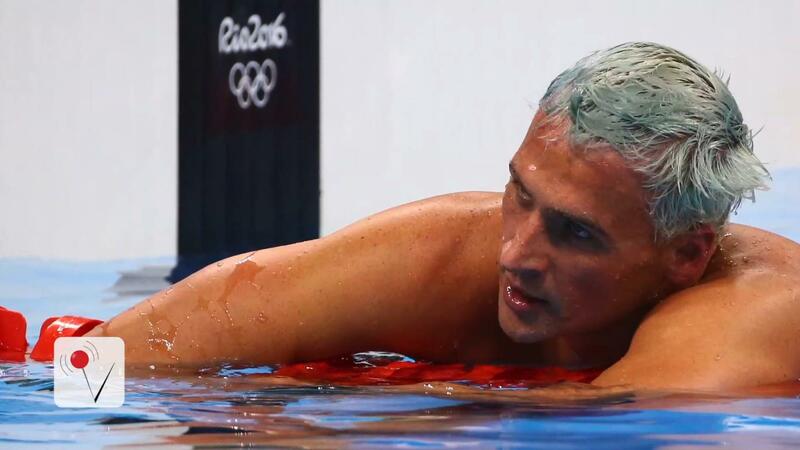 Lochte tweaked the story again on Wednesday. 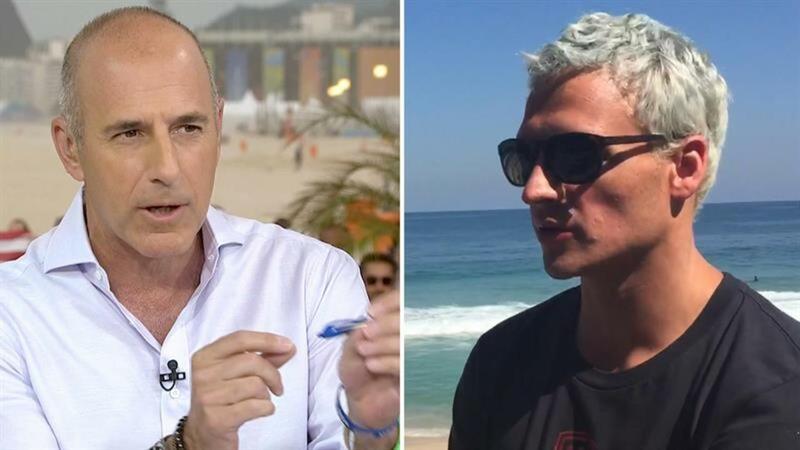 NBC's Matt Lauer said on air that in a phone conversation Lochte did not describe being pulled over. He said the muggers emerged when their taxi was stopped at a gas station. He also said the gun was pointed in his direction, not placed on his forehead. Lauer said Lochte insisted that the mugging occurred, and this is not just a story concocted to cover for some sort of misbehavior. Those contradictions are only half of the reason Brazilian authorities were suspicious of the swimmers' story. The other half comes from surveillance footage showing Lochte, Feigen, Conger, and Bentz arriving back at the Olympic Village "with their psychological and physical integrity unperturbed," the judge wrote. The video also shows the swimmers wearing watches and removing wallets and phones from their pockets to pass through a metal detector. Not exactly the possessions one would expect on people who were just mugged. Further doubt had been cast on the story because none of the four swimmers reported it to police. They said that was "because we were afraid we'd get in trouble." It was only after Lochte told his mother, who mentioned it to the media, that Rio police found out about the robbery. They then began an investigation that included interviews of the swimmers, who admitted that details of the night were hazy because they had been drinking. Lochte, meanwhile, is home and planning to buy a new wallet, according to his dad. He has, so far, not spoken out since the video surfaced.